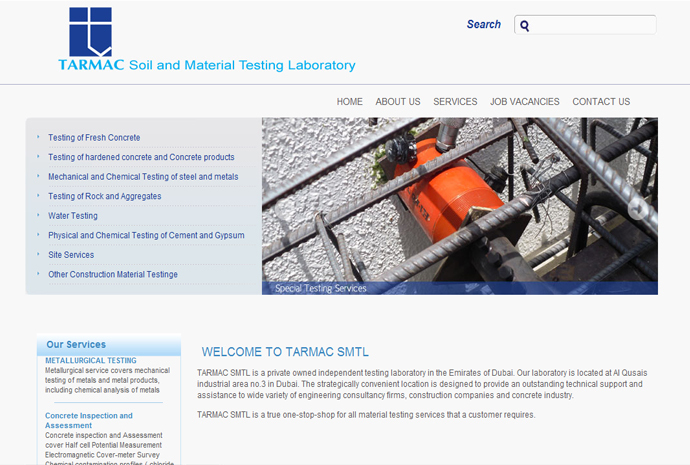 Tarmac Soil and Material Testing Laboratory is a private owned independent testing laboratory in the Emirates of Dubai. 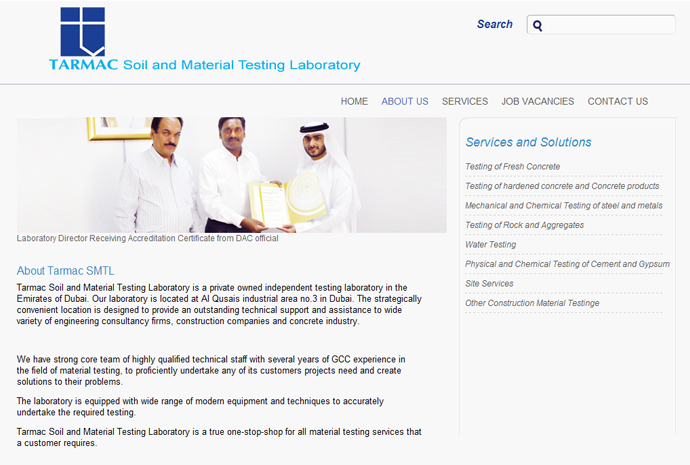 Our laboratory is located at Al Qusais industrial area no.3 in Dubai. 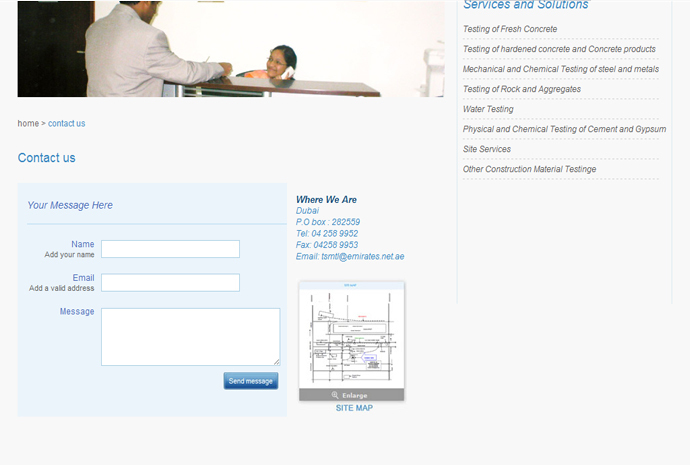 The strategically convenient location is designed to provide an outstanding technical support and assistance to wide variety of engineering consultancy firms, construction companies and concrete industry.